Ask a dozen HVAC industry experts what the key to fewer expensive repairs and longer A/C system life is and they will all answer that, without a doubt, it is regularly scheduled cleaning and preventative maintenance. HVAC contractors and technicians have the experience, expertise, and knowledge of the many aspects and elements of heating, ventilation, and air conditioning operations. This is the primary reason for hiring an HVAC contractor or repair technician to care for your system throughout the year. During the summertime, the temperature inside a home can become unbearable if your A/C system is not operating efficiently and properly. Hence the importance of timing when you schedule your A/C system maintenance and repair work. Having regularly scheduled service will ensure that your system does not falter or break down prematurely and cost you a fortune in repairs or replacement. Additionally, with the cost of energy increasing all the time, a properly operating system will save you money on your monthly utility expenses. During the winter time, your HVAC system works tirelessly to keep you and your family warm and with summertime just around the corner, it will be working just as hard to keep them comfortable and cool. For all intents and purposes, you should have your A/C system serviced between winter and well before summer hits. It’s best to have it done when outside temperatures are nicer than they are in winter but much cooler than what they will be during the summer. So schedule the service call in the springtime before temps really warm up. Most HVAC technicians will have some type of maintenance checklist with them when they come out to perform the service. 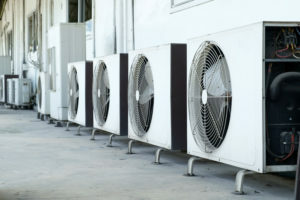 However, no matter what type of maintenance service they perform and the type of repairs they do, all of this will ensure that your A/C system will work throughout the summer without encountering any problems. When you consider the fact that your HVAC system has a lot to do with your health as well as your comfort, the money you spend on preventative maintenance goes a long way to ensuring that you live comfortably. It also ensures that you are breathing cleaner air which is a plus for individuals with allergies and asthma. This brings up the issue of hiring the right HVAC technician for the job. After all, you want to be sure that the person who performs the service on your system is qualified to do so. If you have never hired an air conditioning contractor or service tech before, you’ll need to do a little research to ensure that you are choosing one that is bonded, insured, and licensed to do the work. Make sure that they are an established company and located in your local area. This helps to ensure that you’re not dealing with some fly-by-night company and that the work is going to be done correctly.